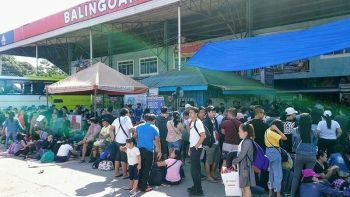 MEMBERS of the Benguet Provincial Board are seeking clarification on Baguio City's waste transfer facility following a petition by Tuba officials. During the board session on April 16, the Provincial Board moved to invite the Environmental Management Bureau (EMB) to further ask queries regarding the city's waste transfer facility located in Dontogan along Marcos Highway. The EMB-Cordillera issued a Certificate of Non-Coverage (CNC) for the operation of the transfer station in the barangay as it was found that it is in accordance with EMB Memo Circular 005, series of 2014 or the revised guidelines for coverage screening and standardized requirement under the Philippine Environment Impact Statement. EMB also cited Baguio City submitted requirements for establishing transfer stations. Public consultation is not a requirement prior to the issuance of CNC. Board Member Juan Nazarro said officials from the EMB will be invited to explain issuance of a permit. "We can also include here the officer in charge of that land and the NCIP if there is a part of the domain of Ibaloi tribe if they also comply with the NCIP guidelines," added Nazarro. Board Member Florencio Bentrez, who was also the former mayor of Tuba, said the transfer station is already good as a dumping station. Last February, members of the board passed a resolution "strongly supporting and endorsing the petition of Upper Poblacion, Tuba residents regarding the dumping transfer station of garbage waste from the city of Baguio." "The staging of dumping area near residential houses, business establishments such as eateries, fruit and vegetable stands, elementary and secondary schools including natural springs located below the dumping site, is detrimental and hazardous to health and the ecological conditions of the area. These dumping of wastes were being done without public consultation done with the affected residents and communities," the resolution stated. Prior to the passage of a resolution by the Provincial Board, a letter dated March 19 by EMB-Cordillera Director Reynaldo Digamo manifested their office will monitor the operation of the transfer station to avert any negative environmental effects. Department of Agriculture Secretary Emmanuel Piñol approved on February 28 the request of Mayor Mauricio Domogan for the temporary use of approximate 5,000 square meters of Baguio Stock Farm within the boundary of Tuba and Baguio City.